Hi, i am the owner of a mini - mini paceman to be precise. Unfortunately a few weeks ago the key fob (round part) detached from the actual key without me noticing whilst i was crossing a road; once i realised i had lost one part of my key i traced my steps back and i was lucky enough to be able to find it in the middle of the street. Few cars had run over it but for 2 weeks after this happened all 3 lock/unlock buttons were working just fine. One by one then slowly stopped working over the course of week number 3. Before buying a new key from mini (for £160) i was wondering if there could be a diy way to fix it. Can you help? or do you know of any other mini blogs where i could seek help? The best fast way if you must have the functions of the fob is the dealer and pay the price. Just curious - is function #3 opening the trunk/boot or a rear hatch? 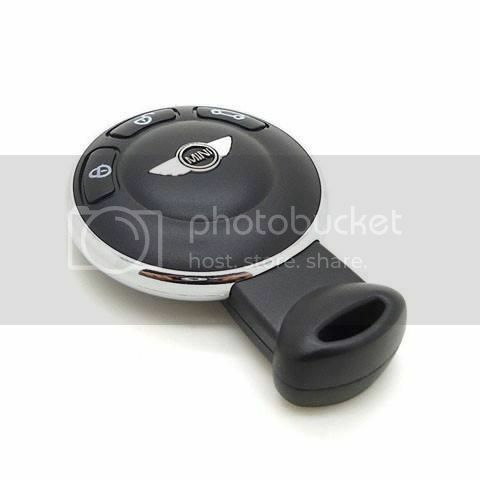 Can you open that with a lever or if car in general is unlocked by button inside? The keys used in a Mini are completely electronic and like nothing else. Get a new key before you get stranded somewhere. hi, yes the 3rd button is for the boot. this can be opened only if the whole car is unlocked. I know you are freaking out at the cost of a new one but it's the best fix. To me if alone with the thought of a key, key and control fob for anything is a problem waiting to happen if (and I do) stuff assorted keys in pockets would be damaged by other things in pockets. Other is plain dropping the dang things or worse stepping on it with 10 other keys if the type.